When you look out into your Atlanta backyard from your kitchen window, you note the beautiful shrubbery and trees and thick lawn. Unfortunately, for many bugs, those green leaves and that lush vegetation looks like dinner. So, how do you determine what’s bugging your bushes? And more importantly, how do you treat the problem or prevent pests from making a meal out of your landscaping in the first place? 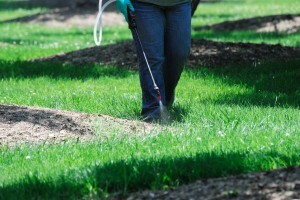 Finding a professional lawn care provider that can treat your trees and shrubs for pests is a good place to start. Here’s what should be included in an effective tree & shrub program in Atlanta to control bugs, pests, and diseases in your landscaping. 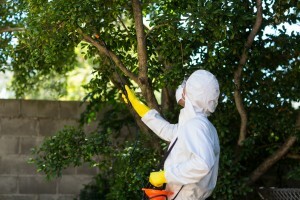 Technicians spray an insecticide on bushes and trees several times per year to effectively treat for summer insects like aphids, lace bugs, and white flies. These insects feed on bushes and shrubs when the temperatures heat up. Whiteflies are tiny, white-winged bugs that feed on the underside of leaves. Lace bugs also dine on the underside of leaves, particularly the leaves of ornamental trees and shrubs. They are reddish-brown in color. Aphids are known as plant lice. They feed on sap. The wide-spectrum insecticide dries quickly and repels most of these critters. It’s important to note that some pests, like the Japanese Beetle, won’t be repelled by the treatment. However, after ingesting it, this summer pest will be affected. Thanks to Atlanta’s climate with plenty of moisture and warm temperatures, local foliage is highly susceptible to fungi like Powdery mildew and Leaf Spot. Powdery mildew can be caused by a variety of fungi, but it’s easily identified as the disease is characterized by light-colored powdery spots on leaves and stems. Leaf spot is characterized by brown or black water-soaked spots on leaves. It can be caused by bacteria or by fungus. A fungicide treats fungus-caused spotting. Like wide-spectrum insecticides, fungicides are sprayed on foliage as treatment and as preventative. Miticide may be used to treat Juniper, Cedar, and other evergreen trees for Spider mites. These tiny pests typically set up camp on the undersides of plant leaves, spinning silk webs. The webs and the pests’ feeding can damage plants. 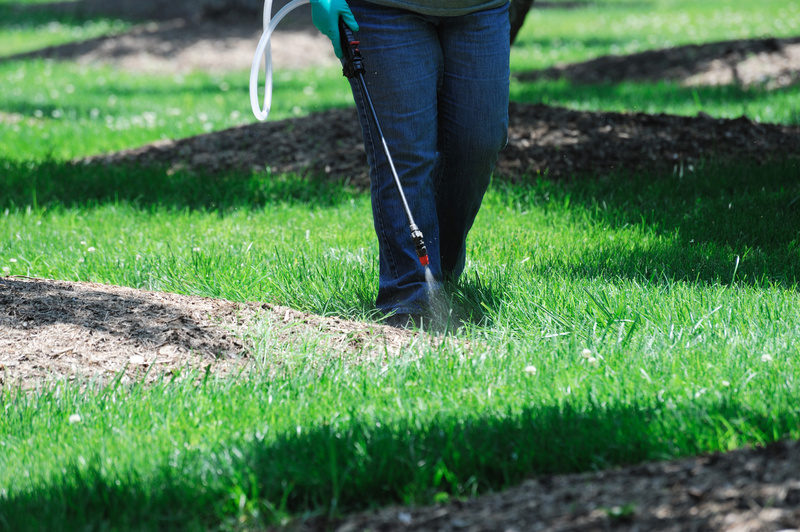 To effectively eliminate garden pests and diseases, professionals recommend several treatments over the course of a year. Following treatment, homeowners should resist the urge to water for 6 to 12 hours. 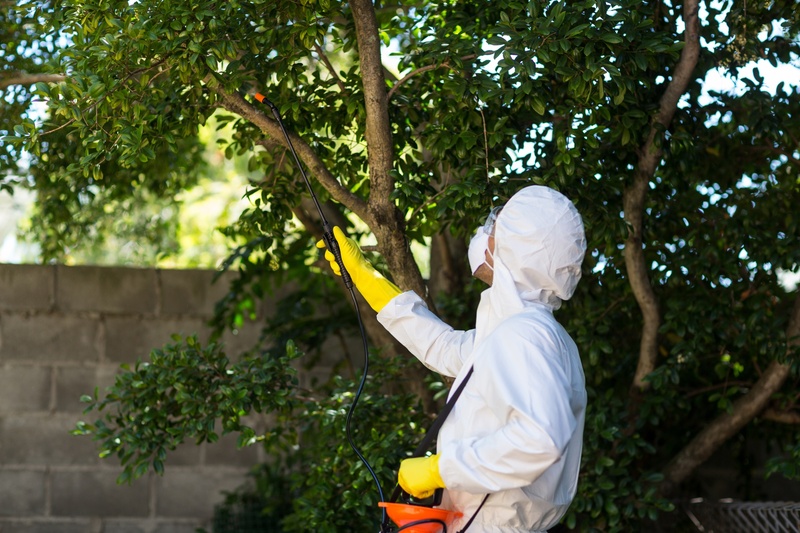 Protecting your backyard from unsightly pests that damage ornamentals, trees, and shrubs requires consistent effort over time. But that effort comes with the peace of mind in knowing your backyard is protected from creepy crawlies anxious to make a meal of your landscaping.